Clark Island Recreation Area includes three small islands in the Fox River as well as a large open area on the eastern bank. In an effort to revitalize the area, the Batavia Park District applied for and received an Open Space Lands Acquisition and Development grant from the Illinois Department of Natural Resources. 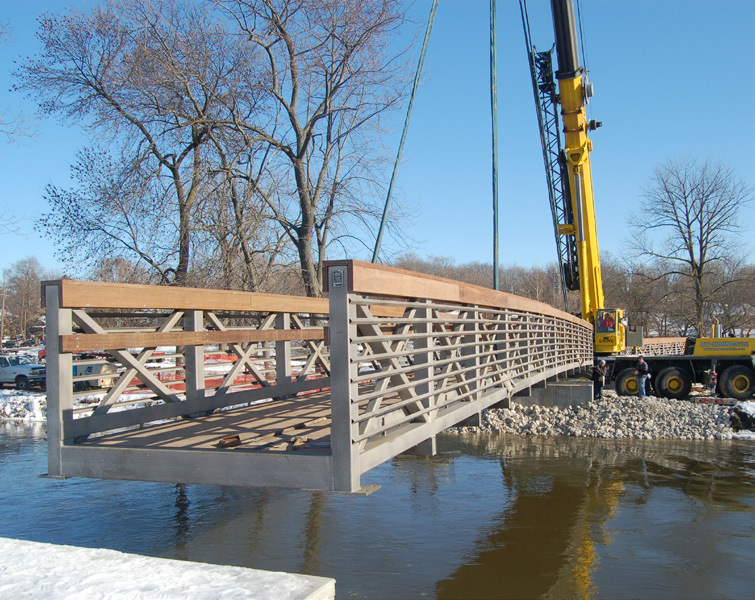 Though the project included much-needed shoreline stabilization and other improvements, an equally important part of the project was the installation of two new pedestrian bridges over the Fox River. Previous access to the islands had been limited to a pair of plank and cable suspension bridges that were only 57” wide. Since the Fox River Trail is a major east to west crossing in this section of the Fox Valley, new bridges were needed to provide a safe river crossing and a link to the City of Batavia. Once the revitalization project is complete, pedestrians and cyclists will then be able to safely cross the Fox River while enjoying the scenic trail through valley. 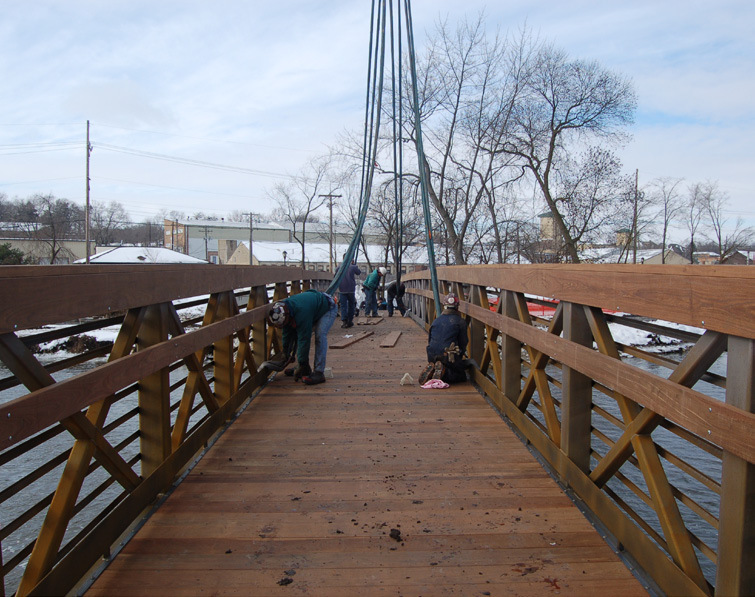 The Batavia Park District is pleased with their new bridges.